What Holds It Toghether is a piece about the fragility of infrastructure. The idea was set in motion as a result of the two major earthquakes in the beginning of this year: first Haiti, then Chile. It made me think deeper about how fragile the constructions of humans are, that no matter how strong a structure is the things that keep it all toghether are still so vulnerable. The piece was shown in an exhibition with the international group SCENE, curated by Jennifer Woodin, in conjunction with the National Council on Education for the Ceramic Arts, NCECA, which was holding it’s 44th annual conference in Philadelphia March 31-April 3rd, 2010. 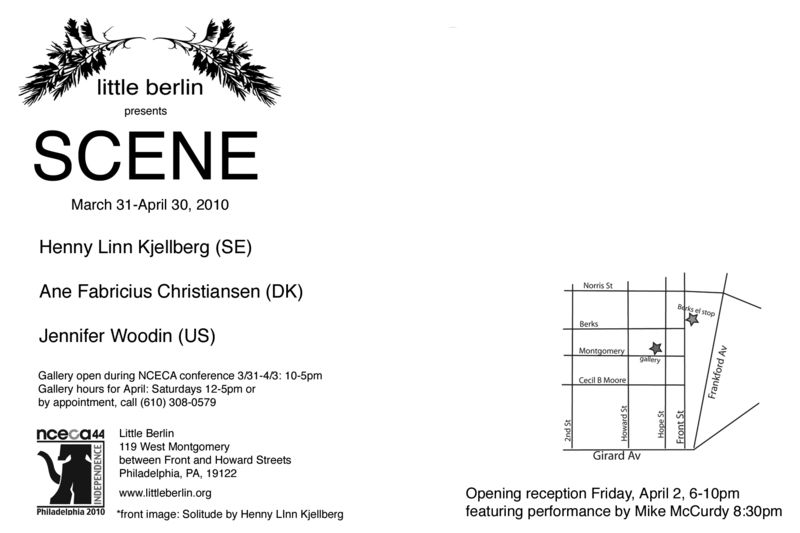 The exhibition dates were March 31 – April 30, 2010. 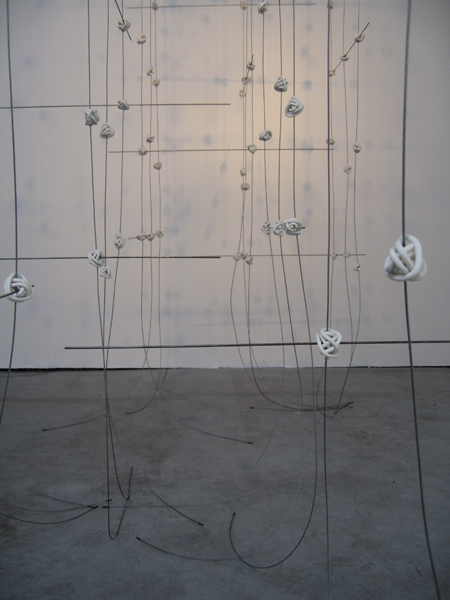 SCENE was an exhibition of International artists working with the performative aspects of the ceramic object. 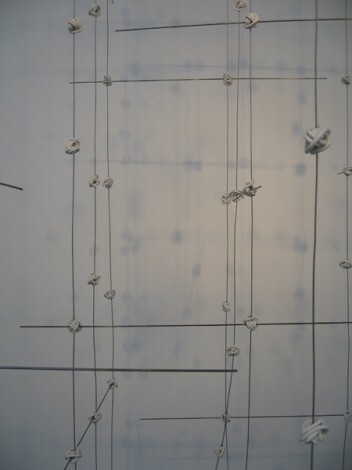 The artists employ alternative devices such as video, architecture, photography and performance to activate the typically static ceramic art object. The main focus of the show is to change the audience’s awareness of and interaction with the gallery as public space. Our perceptions are challenged as we consider the transition of private to public, actor to audience or author to reader. 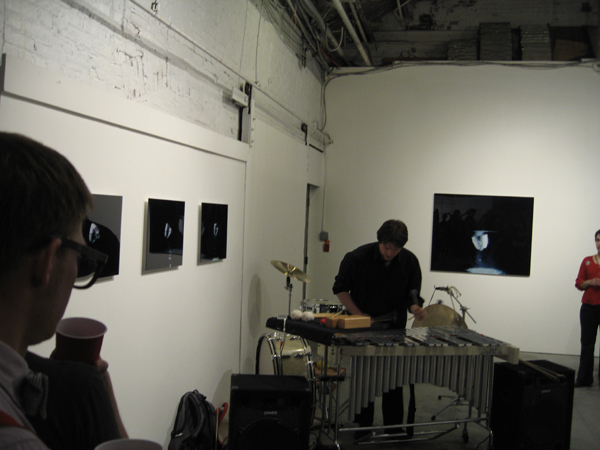 Mike McCurdy (US) is a New York based percussionist who was invited to make a performance at the opening. A part of the piece "Necessities" by Jennifer Woodin. 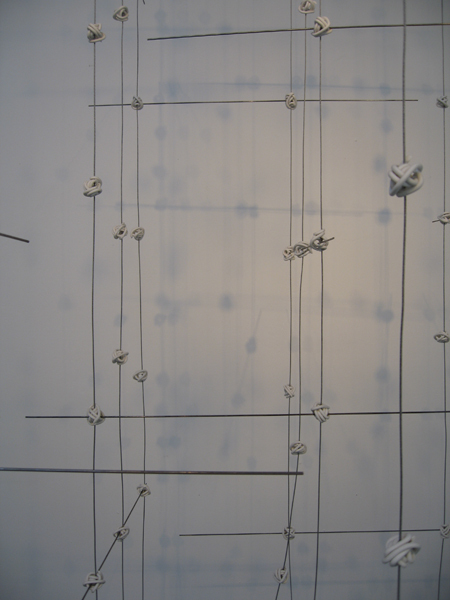 A part of the piece "Sediment" by Ane Fabricius Christiansen. Woodin´s sanitary wear confronts the realities of public hygiene. 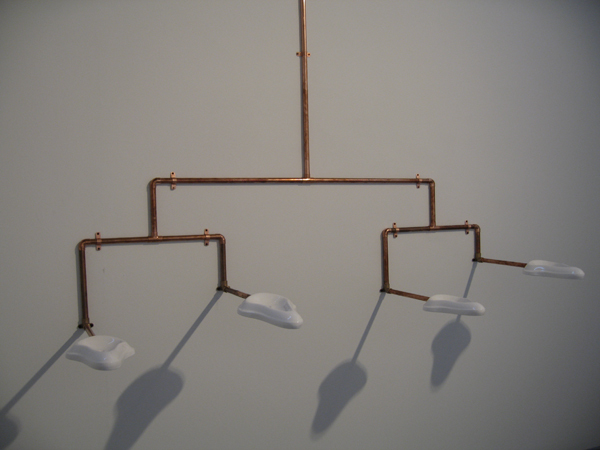 She examines how architecture and the simple plumbing system function as an extension of our own bodies, as we rely on plumbing for everything from sustenance to hygiene. The porcelain objects act as a stand in for the body, rousing thoughts of awkwardness and vulnerability as we consider their function. 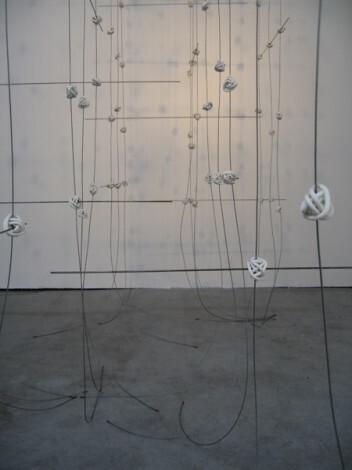 Kjellberg´s airy large-scale pieces form a stage like feeling when activated by audience, movement and light, a space where the lines between the human physical existence and the infrastructure that surround us are blurred. 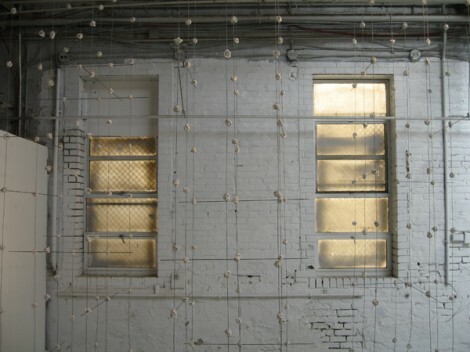 The tall, grid like constructions reminds us of floating architecture, skeletons of buildings or 3-dimensional maps. 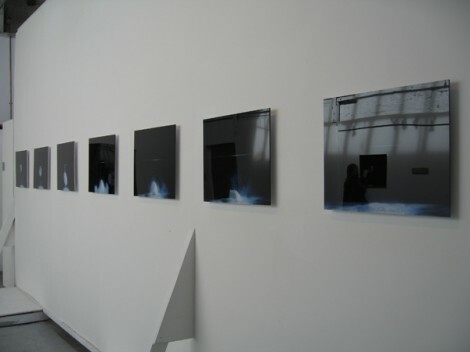 Christiansen´s images relate more to the story-telling concept of stage rather than an actual spatial context. The photographs are documenting a process where the ceramic object is being directed, it’s story staged and performed. They express a collision between reality and fiction and at the same time create an unexpected setting to the ongoing cycle of rise and decay.